Indian gooseberry‚ also known as amla‚ has been a fixture in Ayurvedic medicine for thousands of years. 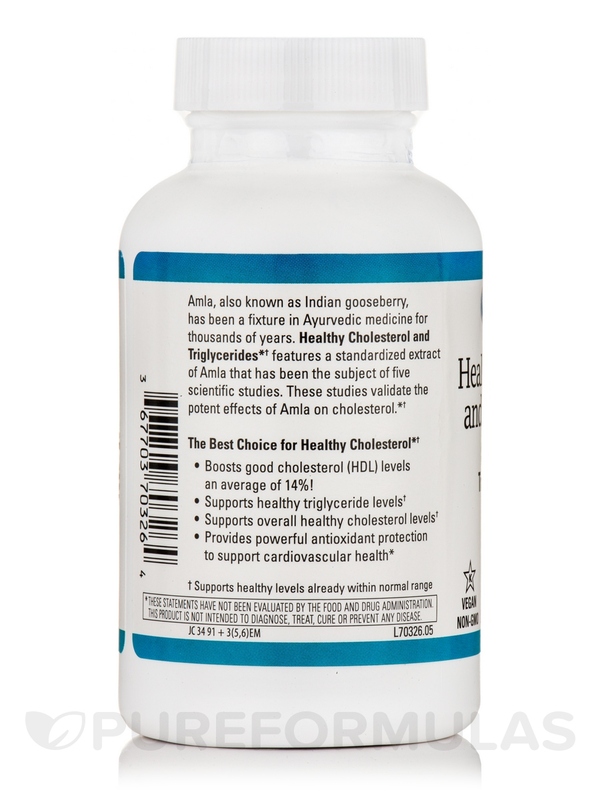 CholestCaps™ features Amlamax®‚ a standardized extract of Indian Gooseberry (Amla) that has been the subject of five scientific studies. These studies validate the potent effects of Indian Gooseberry on cholesterol. 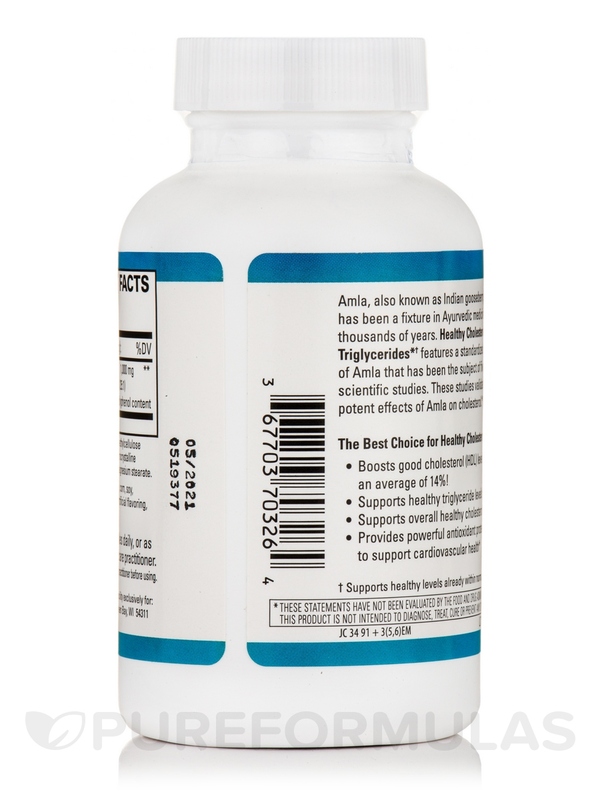 - Boosts good cholesterol (HDL) levels an average of 14%. 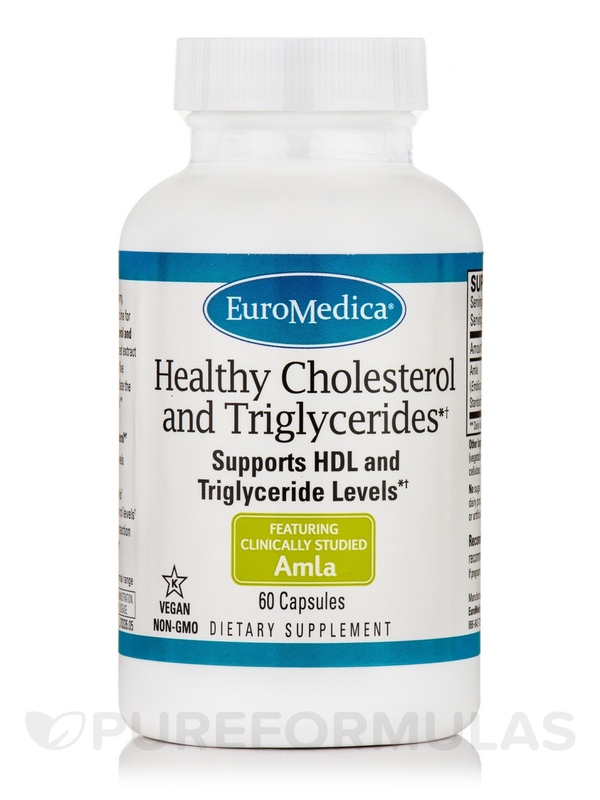 - Supports overall healthy cholesterol levels. 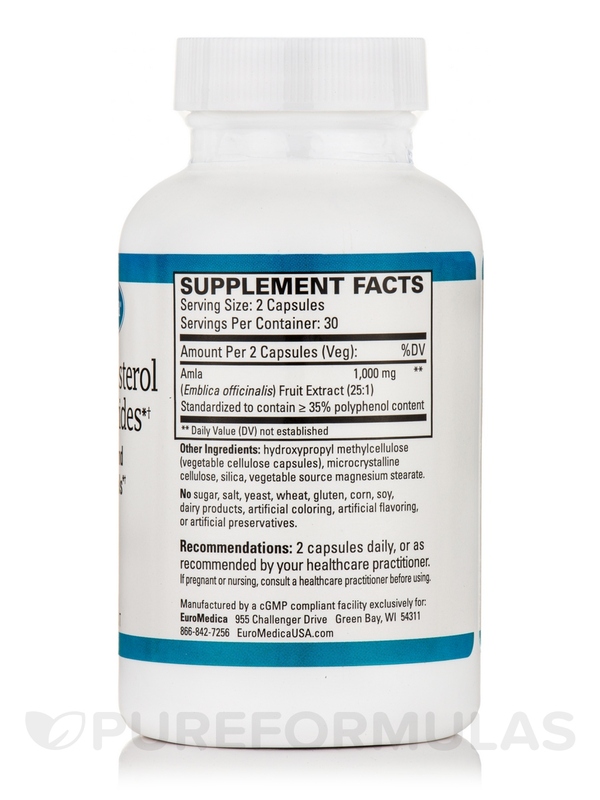 - Provides powerful antioxidant protection to support cardiovascular health. Standardized to contain> 35% Polyphenol content. 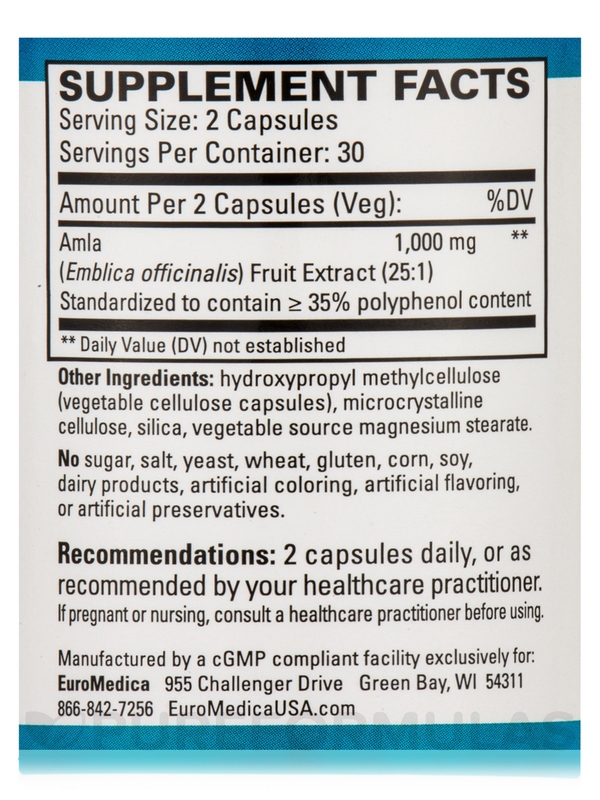 Other Ingredients: Hydroxypropyl methylcellulose (vegetable cellulose capsule)‚ Silicon dioxide‚ vegetable source magnesium stearate‚ cellulose powder. Take 2 capsules daily‚ or as recommended by your healthcare practitioner. My cholesterol has always been elevated; around 300. Since I have been taking CholestCaps by EuroMedica, my numbers have dropped considerably. I highly recommend this product. All of EuroMedica Products are excellent. I have no negative comments in regard to this product; I highly recommend for anyone with high cholesterol. My chiropractor offers this product line. Excellent product; no side effects.